This chicken satay with a homemade peanut sauce is a really easy way to change up your dinner routine. The chicken needs to marinate for at least a couple of hours, but the marinade is a cinch to make and the chicken grills ups really quick. 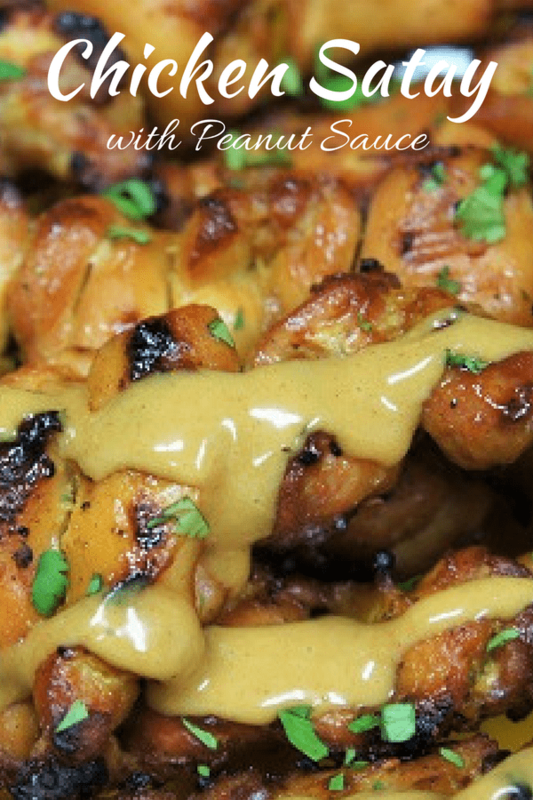 The peanut sauce is super easy to make and absolutely delicious. 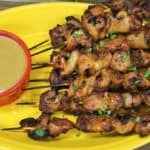 Serve the chicken satay with the peanut sauce as an appetizer or with a side of jasmine rice for a complete meal your family will love. And while you’re in the mood for Asian food, try this easy shrimp & sesame noodles or this great beef & broccoli stir fry. Enjoy! Place the bamboo skewers on a sheet pan or shallow baking dish and cover with water. Soak the skewers for 30 minutes to an hour so they don’t catch fire on the grill. Cut the boneless, skinless chicken thighs into roughly 2 inch pieces and place them in a large zip top bag. Add the soy sauce, coconut milk, brown sugar, grated garlic, turmeric, ginger powder, salt, coriander and crushed red pepper to a bowl. Stir well to combine. Add the marinade to the chicken – in the zip top bag. Seal well, then massage the chicken a little bit to coat well with the marinade. 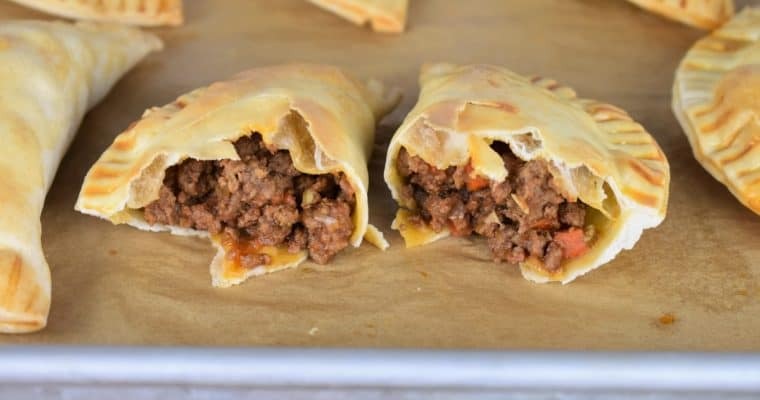 Place the bag on a small pan or plate (just in case it leaks) and refrigerate for at least 2 hours, to overnight. Add all of the peanut sauce ingredients to a small blender (like a Nutribullet), or use a blender. Blend until all of the ingredients are combined and the sauce is smooth. 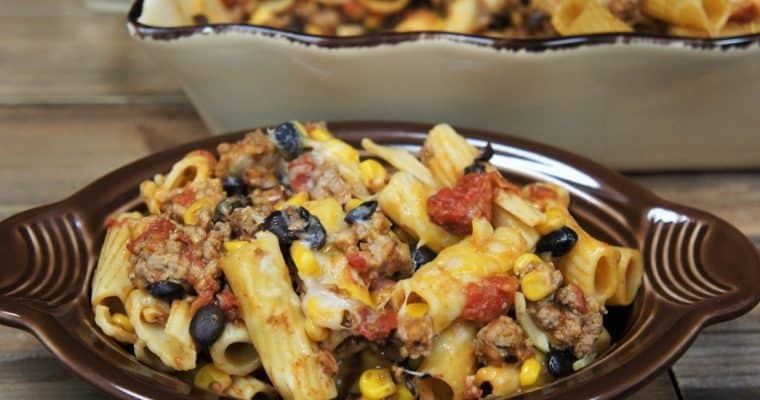 Transfer the sauce to a serving bowl or container until ready to serve. Remove the bamboo skewers from the water. Thread 4-5 chicken pieces onto each skewer; leave plenty of space in the back and the front tip of the skewer. Set aside on a pan or plate and repeat with the remaining chicken. Discard any remaining marinade. Spray the BBQ grates with the grill spray to prevent sticking. Grill the chicken satay on moderate-low heat, turning occasionally until they are browned and completely cooked through. Make sure the juices run clear when pierced with a fork or knife and the meat is no longer red or pink. The internal temperature of the chicken should be at least 165°F at its thickest piece. Serve the chicken satay with the peanut sauce. Enjoy! Place the bamboo skewers on a sheet pan or shallow baking dish and cover with water. Soak the skewers for 30 minutes to an hour. Add the soy sauce, coconut milk, brown sugar, grated garlic, turmeric, ginger powder, salt, coriander and crushed red pepper to a bowl. Stir well to combine. Add the marinade to the chicken. Seal well, then massage the chicken a little bit to coat well with the marinade. Spray the BBQ grates with the grill spray to prevent sticking. Grill the chicken satay on moderate-low heat, turning occasionally until they are browned and completely cooked through (about 20-30 minutes). The internal temperature of the chicken should be at least 165°F at its thickest piece. 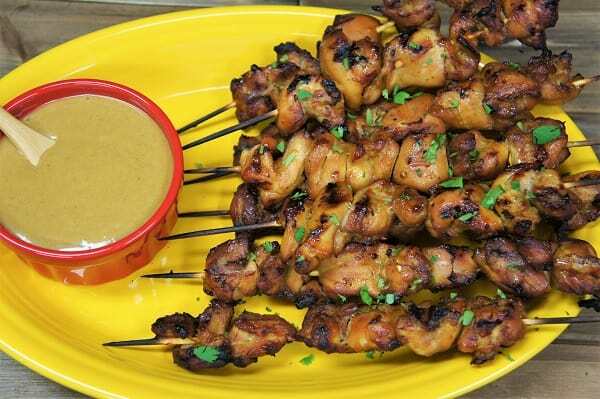 Serve the chicken satay with the peanut sauce.